Though the American IPA is the style that perhaps best defines the craft beer movement—bold, flavorful, potent—it has its fair share of detractors. I read IPA criticism in the comments on my Beer Of The Week picks; I hear it when I’m out at bars or parties; even my colleague Gwen confessed the other day: “I stopped trying to like IPAs years ago.” Most criticism centers on the style’s bitterness, or the perception that IPAs are “hop water.” To those who, like Gwen, believe they don’t like IPAs but haven’t tasted one in years, I issue you a challenge: Try one of the new breed of American IPAs that’s risen to popularity in the past couple years. 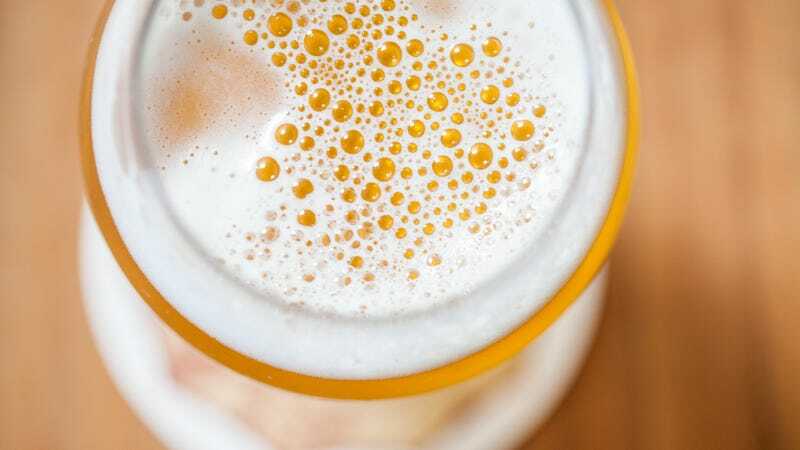 Brewers have lately been enamored of late-addition hops (or dry hopping), when hops are added to the brewing process after the unfermented beer liquid, called wort, has been boiled. When the hops are added pre-boiling, more of their bitterness comes through in the final beer. The recent late-hopping phenomenon has made for IPAs with more hop aroma and flavor, and less of a bitter sensation. To be sure, many of these newer IPAs still have a noticeable bitterness (it’s needed to balance malts’ inherent sweetness), but it isn’t that tongue-scraping, throat-closing bitterness that some brewers used to aim for. With these so-called New England-style IPAs, brewers often describe what they’re shooting for as a “softer” bitterness, or a “smoother,” “gentler” bitterness. The hop bite still helps end the sip, but it’s more of a soft fade than an abrupt curtain close. Pour a new-school IPA into a glass and you’ll probably smell a wave of Odwalla-esque flavors: mango, pineapple, passionfruit, orange marmalade, grapefruit, even kiwi. That’s thanks to the tropical fruit-forward hops so en vogue these days: Citra, Mosaic, Galaxy, Mandarina Bavaria, and others. Hop breeders and brewers have worked hand-in-hand to crossbreed and develop hops with more of those fruity aromas and flavors, and less of the traditional pine, onion, grass, and earthy flavors that once characterized IPAs. It’s not like those hops are going anywhere—hopefully not, because they’re still useful in many beer styles—they’re just not the popularity kid at the IPA party. If those tropical-fruit hops are the homecoming queen, then Australian and New Zealand hop strains are the cool, artsy kid on the fringes. Brewers select those hop varieties—Nelson Sauvin, Motueka, Moutere—to give IPAs enticing whoa-what-is-that flavors of white wine, lime zest, and green grapes. + Juicy, and its derivatives: juice, squeeze, etc. You can also keep an eye out for specific hops on the label, if the beer lists them: Citra, Mosaic, and Galaxy are probably your surest bets for finding a tropical- or citrus-bomb IPA, but with new and experimental hops being released from breeding programs each harvest, don’t discount a beer just because you don’t know what the hops might taste like. If you don’t recognize them, skip to number 3. Ask! I learned about beer by asking so many questions that bartenders probably steeled themselves when I walked through the door. But this is how you learn what you like. If you’re at a decent beer bar, ask whether an IPA is more or less bitter, relatively; what its dominant flavors are (pine vs. citrus vs. tropical fruit); and how high its ABV (alcohol by volume) is; for starters. Same applies at a bottle shop. Find a store with knowledgeable staff and tell them you’re looking for an IPA on the fruitier, more softly bitter side of things. They should be able to steer you toward something tasty.